The Quiltzette: Third Thursday & Blocks Without Borders This Week - Don't Miss Out! - Our Classes Are Always Fun And Exciting! These gals were so excited after learning how to put in a zipper! 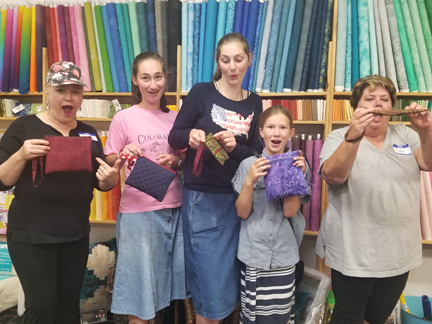 We always have fun in our classes at Cortez Quilt Company and More. Be sure to check out our upcoming classes below! Make your plans now to attend the Dolores Mountain Quilter's Bare Bones Retreat September 6-8. The Guild will be having Jan Humphrey there to teach how to do this fabulous Pineapple Quilt. 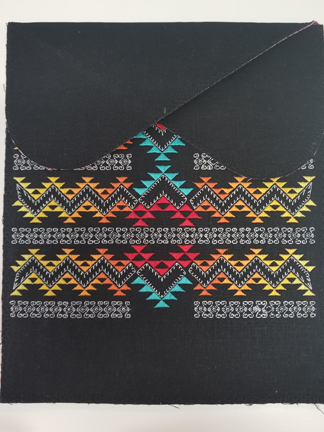 Call us now to reserve your Creative Grid Pineapple Trim Tool - we want to be sure to order plenty for everyone who is making this quilt. 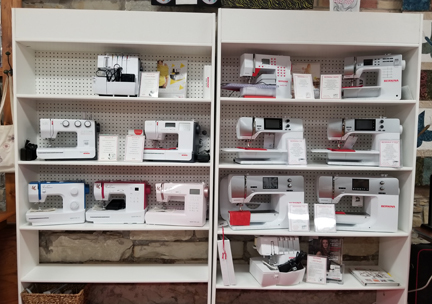 I have to brag a little here... Todd came in yesterday and built this new home to showcase our sewing machines. 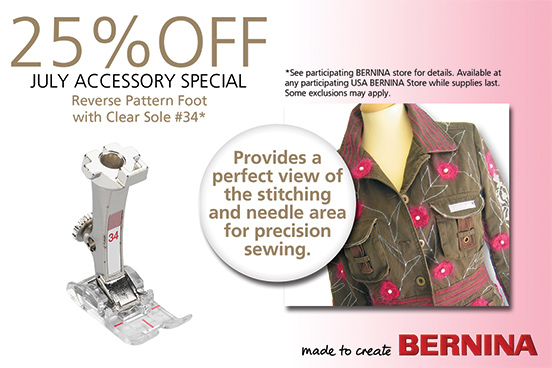 We are ready for BERNINA to ship us all our new machines! By request... we have had several people ask us to have a summer UFO Challenge, as they love to quilt when it is too hot to do anything outside in the afternoon. (We have also had some of our "Snowbirds" with this same request). Now you have a great reason to work on your UFOs. For the uninitiated or compulsively organized, UFO means unfinished object. Also known as PhDs . . . projects half done. 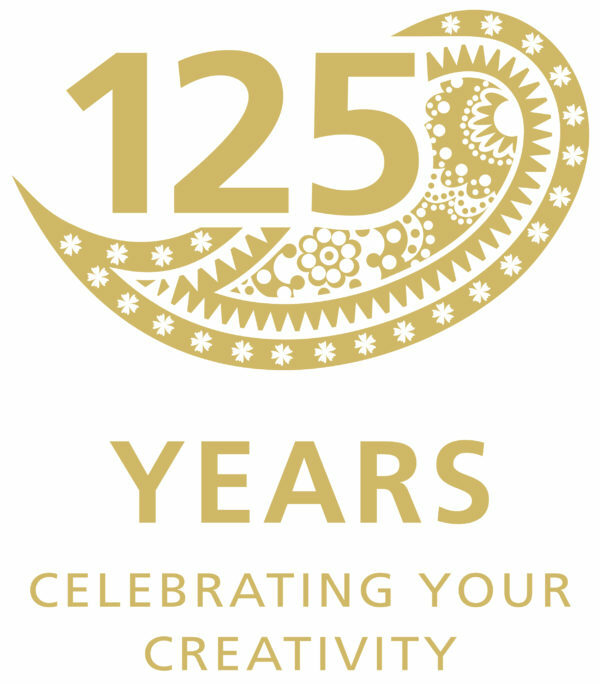 Those of you furiously working on projects for the quilt show - these will count for you! Here’s the deal. Bring in your UFOs anytime during the month of July. 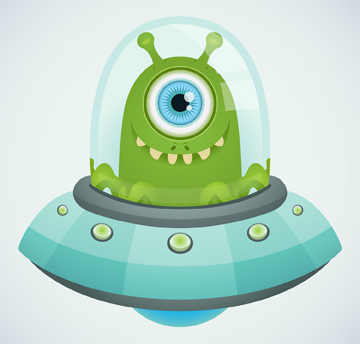 We will register each one and log them into your personal page in our special UFO Challenge binder. Then, get busy sewing! (Remember . . . any day we’re not having class or special event you are welcome to come to the shop to work on your projects.) Each time you finish a UFO, bring it back to the shop. We will mark it complete and you will be entered to win great prizes (see below). The more UFOs you finish the more chances you have to win. • UFO must be a quilt, wall hanging, table runner, purse, or tote bag. It can also be a garment. • A completed UFO is really complete. • No UFO registrations after July 31, 2018. On Saturday, October 20th from 9–10 a.m. we’ll have a special UFO Show and Tell Party with coffee and a light breakfast. Bring everything you completed during the Challenge and claim your bragging rights. We’ll draw for the prizes during this party, but you don’t have to be present to win. When we draw names from all the entries on October 20, FIVE lucky people will win $100 gift certificates to Cortez Quilt Company and More. Remember, the more UFOs you finish the greater your chances of winning! These new batiks showed up just today. We love the rich and beautiful designs of each one of them. These neutral batiks are exceptionally nice. They can stand on their own, or will look great combined with other batiks. White on white batiks are a rare find! 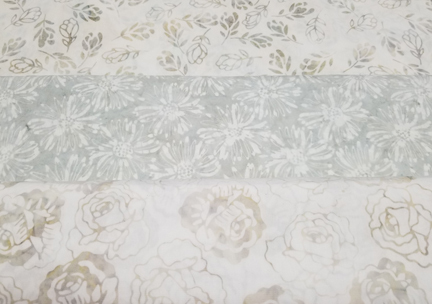 Although difficult to see here, both of these white batiks have great floral designs. You will have to come by here to check them out for yourself! Anything with sheep are popular in our shop. 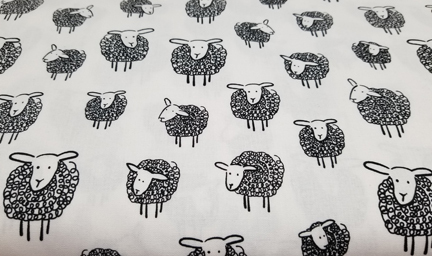 This fabric will not disappoint the sheep collector. 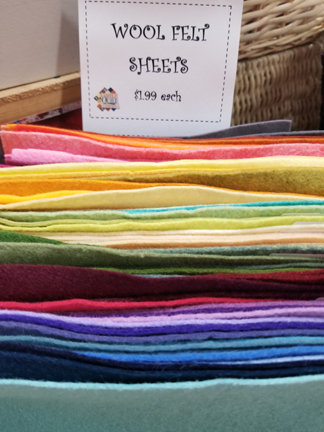 We have a nice selection of felted wool sheets in stock. Let us know if you like wool projects as much as we do! Who doesn't like to add bling! 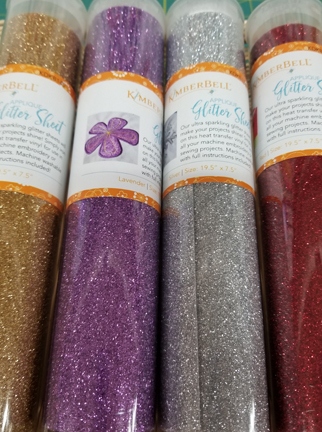 We are very excited to carry Kimberbell's Applique Glitter Sheets. These ultra sparkling glitter sheets will make your projects shine! Simply iron on this heat transfer vinyl for use in all your machine embroidery, applique, and sewing projects. It is even machine washable! 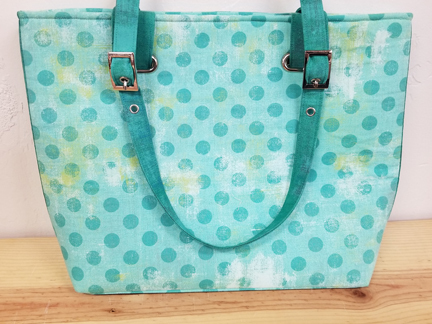 Tuesday, July 17, 5:30 p.m.
Tuesday, July 24, 1:00 p.m.
You will get to utilize the Tech Two Tote Pattern from the first July session. Come learn how to digitize this amazing design, along with creating the monogram letters that can either be for the back of your project, or made to be free standing. Place It, Cut It, Piece It! 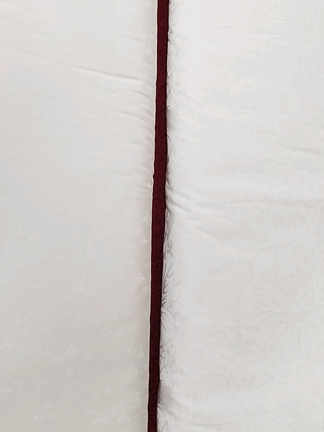 Phenomenal new rulers make squaring up quilt blocks simple and accurate. Fussy cutting becomes as easy as pie. Visually center embroidery and applique designs before you cut. Orange Pop Rulers are fantastic for all types of quilt blocks—sewing or machine embroidery! Join us on July 19th at 12:30 p.m. for our monthly Third Thursday Demo. This event lasts thirty minutes – feel free to bring your lunch if you are on your break. Susan will be teaching an easy technique for creating small landscape or personally meaningful quilts using raw edge applique. We’ll cut out landscape shapes, symbols or abstract shapes from some fabric and scraps. 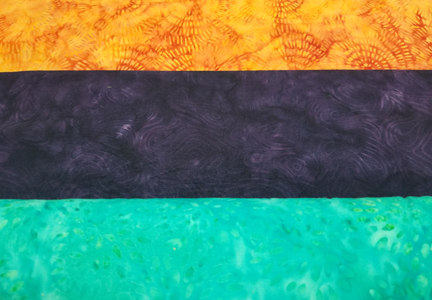 Susan will also talk about color and value in creating art quilts. 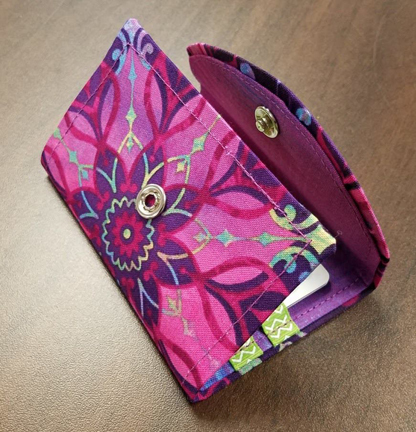 She will demo both fusible web and/or using pins to hold pieces in place while creating an image. 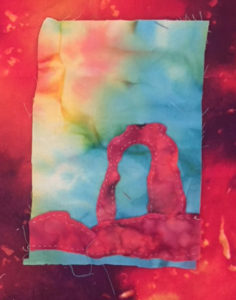 People will create landscapes or other images on the quilt sandwiches. 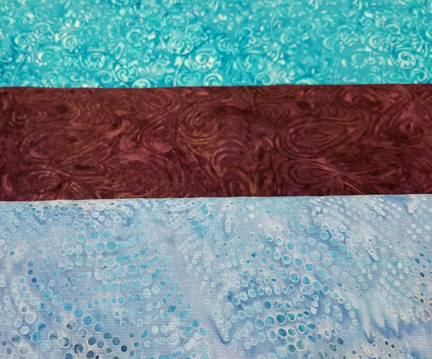 Bring 12″ square quilt sandwiches – any fabrics will work but think landscape backgrounds, mottled fabrics or multi-colored batiks work well. Bring colored fabric scraps (think landscape) and pins too. Go check out Susan’s work at susanmaddenstudio.com – her work is truly amazing! Please also bring your work-in-progress or finished “Water Project” projects to show and anything else for us all to see! This project is fun, fast, and economical = gift giving potential. You will learn how to use a fusible interfacing, plus how to put in a professional style snap. Come join us for a fun and educational evening out! Bring a friend! 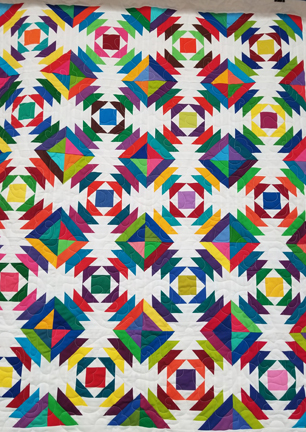 This program offers a great opportunity to learn how to quilt with rulers. Shanna Stordahl of Hesperus Colorado will be leading this fun and educational project. 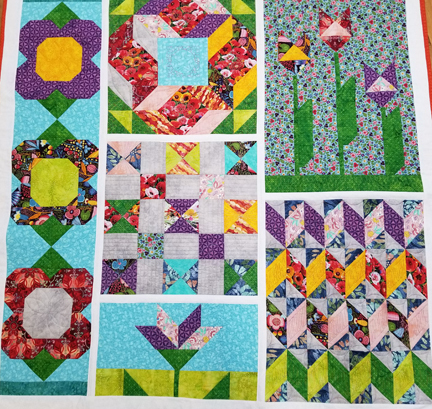 Shanna has this broken down into a four part block of the month enabling you to have a completed project in a relatively short period of time, while also learning a new technique. Piecing of the blocks will be done at home between classes, with class time devoted to learning how to do the ruler work. Please call if you would like more info. 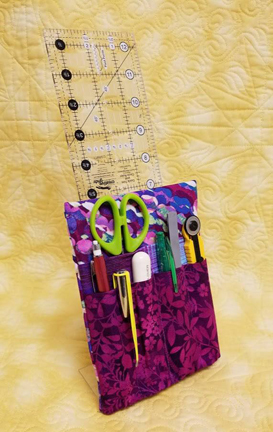 The last project in the Sew Days series will be making this handy holder to keep all your tools close at hand. You will learn how to baste then gather your stitching, and how to put in pockets. Come join us for a fun and educational evening out! Bring a friend! 10:00 p.m. – 5:00 p.m.
We love the look of this bag! Very trendy and professional looking, this bag will look fabulous no matter what the occasion. Features: zipper opening, three pocket options, adjustable straps, plus your choice of hardware = a very stylish bag. Judy will be your instructor.